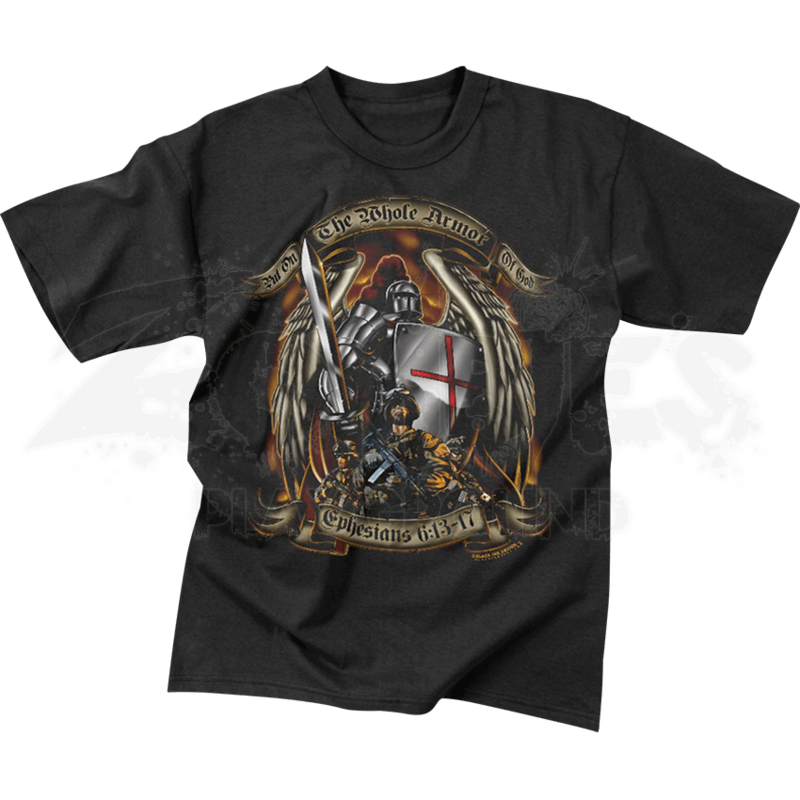 Faith has always guided men into war and with the stylish Armor of God Military T-Shirt you can channel this power force. With an original design and comfortable fabric this item can become a treasured addition to your current wardrobe. This preshrunk 100% cotton t-shirt carries a classic message for those who believe. The chest has a stunning graphic of a knight with wings, sword, and shield ready for battle. Below there is a soldier in full gear as well as banners that read, PUT ON THE WHOLE ARMOR OF GOD EPHESIANS 6:13-17. 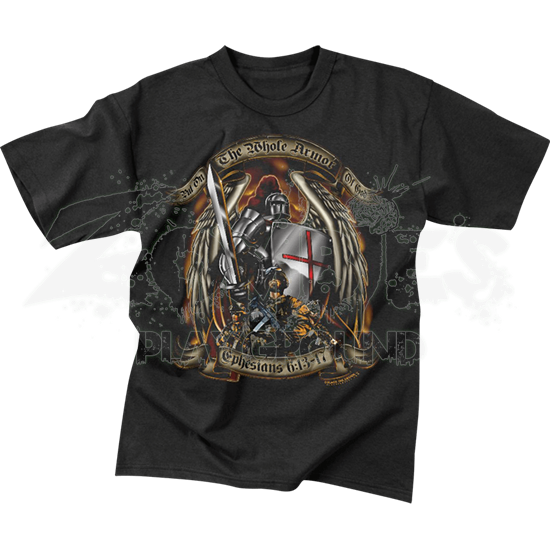 Embrace the spiritual protection that can be yours with the Armor of God Military T-Shirt, which can a game changer for your look.